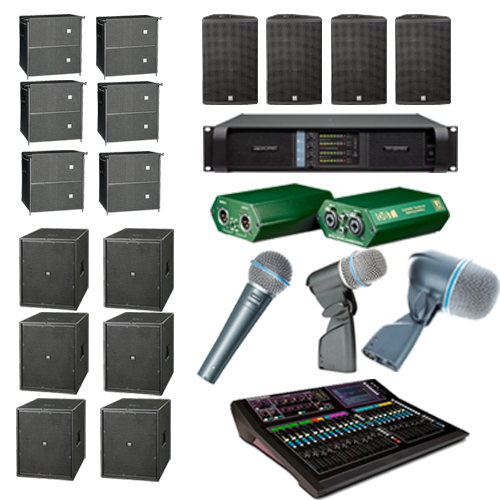 2x Di Boxes, 4x Vocal Mics, 1x Drum Kit Mics, 3x Instrument Mics, 1x Condenser Mics, includes Mics stands and all cabling. 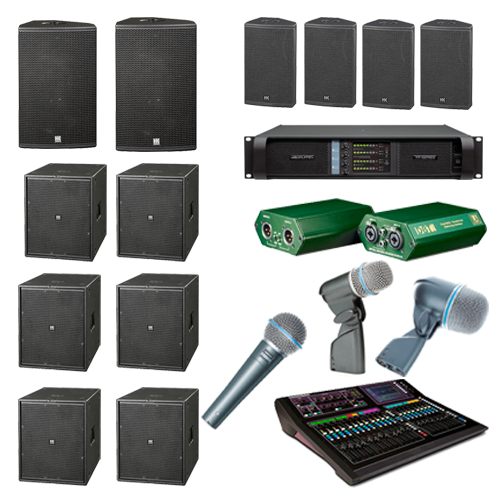 4x Di Boxes, 6x Vocal Mics, 1x Drum Kit Mics, 5x Instrument Mics, 2x Condenser Mics, includes Mics stands and all cabling. 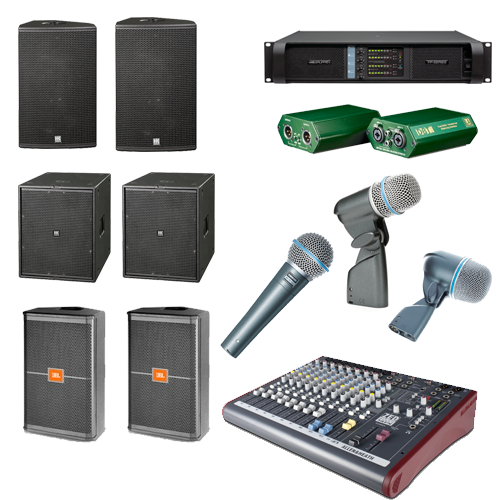 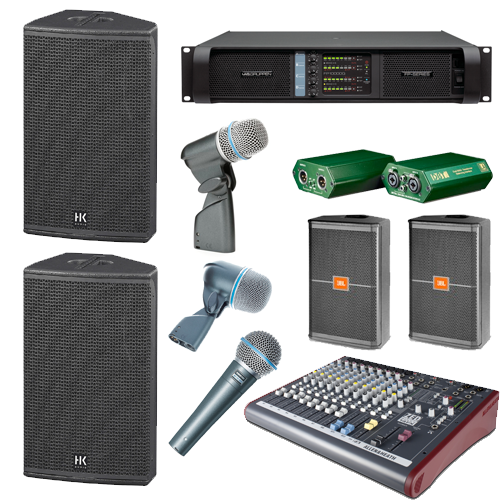 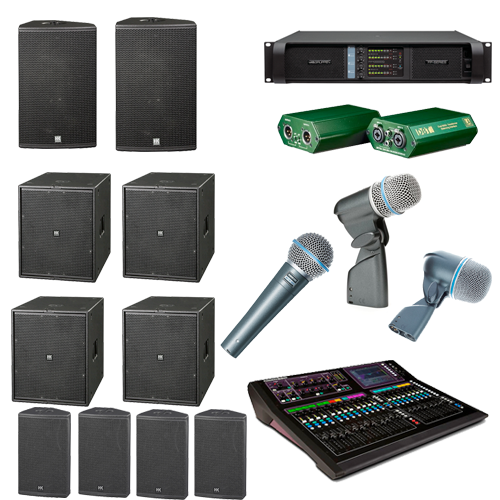 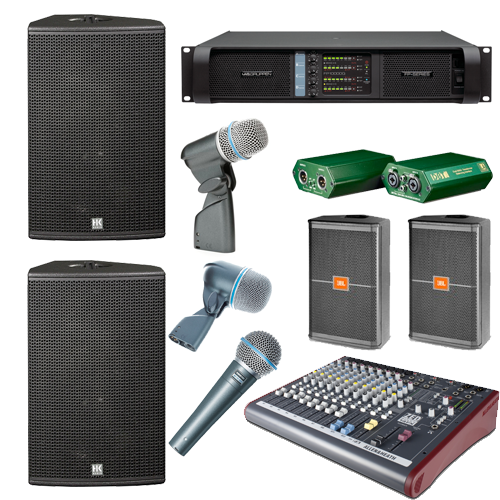 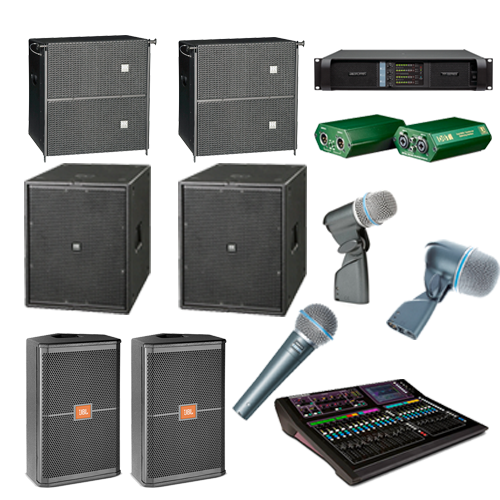 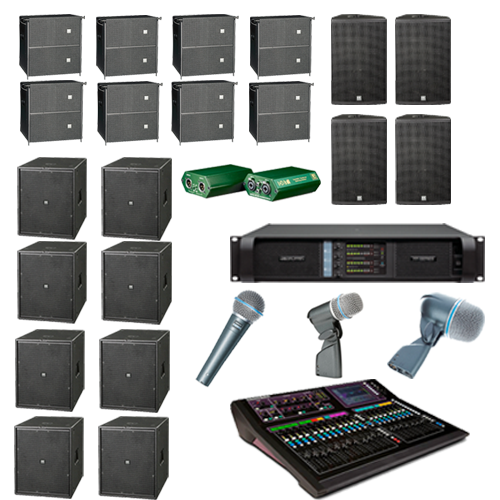 6x Di Boxes, 8x Vocal Mics, 1x Drum Kit Mics, 8x Instrument Mics, 2x Condenser Mics, includes Mics stands and all cabling. 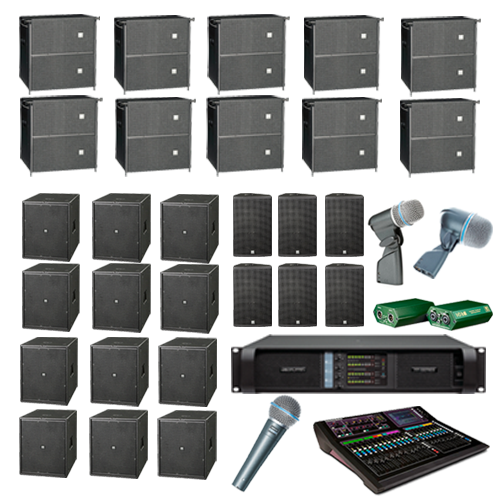 10x Di Boxes, 12x Vocal Mics, 2x Drum Kit Mics, 8x Instrument Mics, 4x Condenser Mics, includes Mics stands and all cabling. 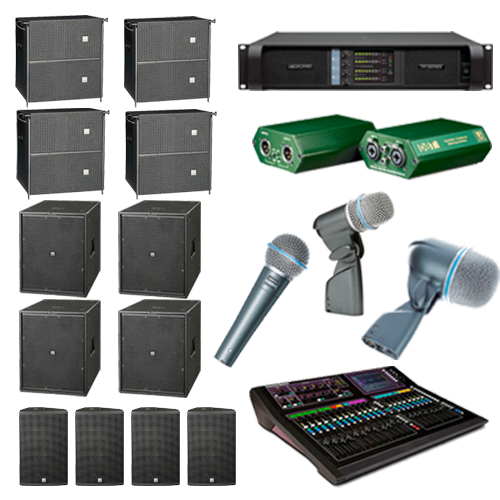 14x Di Boxes, 15x Vocal Mics, 2x Drum Kit Mics, 15x Instrument Mics, 8x Condenser Mics, includes Mics stands and all cabling. 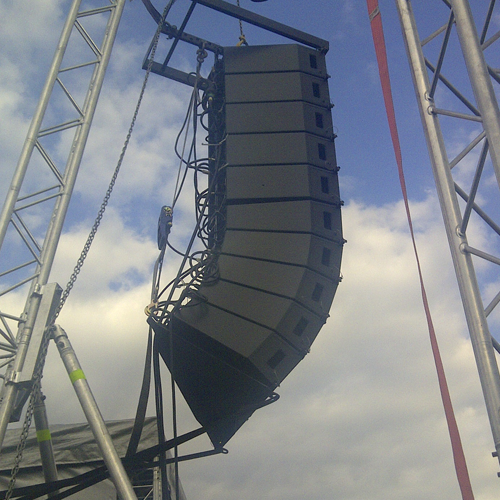 For a bespoke line array package catering for an audience in excess of 5000, please contact us for a quotation.